This book started out as a good crime story told from the perspectives of the three main characters - stalker Ashley, cop Bruno and the mysterious Brown. The target of Ashley's misplaced affections, Rosie, is found brutally murdered and it falls upon cop Bruno to catch the killer. At times it's difficult to follow which character is doing the narrating and I found the author's writing style unusual. Whilst the plot is good, it's spoiled by poor editing and a huge amount of grammatical errors. It's a real shame because these errors would be relatively easy to fix. On a more positive note, the ending is excellent and for this reason alone I have upped my rating from what would have been a 2 out of 5 to a 3. My thanks to author Robert Skuce for providing me with a copy of this book. Homicide detective, Bruno Norcross, is called to investigate the brutal murder of a college call girl. This isn't just any other crime scene. Bruno has seen this scene before, only the last time, the killer got away leaving Bruno feeling as though his career is incomplete. Nobody escapes Bruno's grasp twice and when his nemesis arises again, it’s time to bring him in. 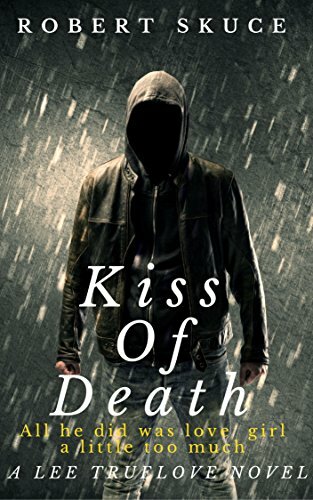 A serial killer, only known as the Kiss of Death, is back, only this time he made a mistake. A witness, like no other, was left behind and this witness knows the victim better than anyone. Rosie's stalker, Ashley Truelove knows everything about her, from what she wears to who she sees. The question isn't can Ashley help Bruno catch the killer, but will he? With meager and confusing clues, two known victims and time running out, Bruno realizes that the cost of bringing the murderer to justice will be paid in blood. With the police Sergeant on his back to catch this killer and provide justice for the death of his daughter, Bruno is racing against time. 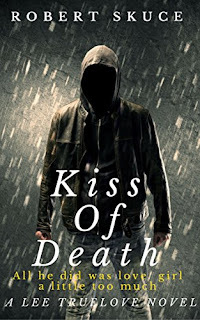 Kiss of Death only hunts occasionally and time is running out before he vanishes again. Can Bruno find the evidence to stop him or will he escape his clutches once again?